MONTREAL—Healthy eating is more than the foods you eat—is the message Canada’s Food Guide wants to get across. On January 22, 2019, Canada debuted its new Food Guide. The Food Guide that many of us grew up with focused on food choices. 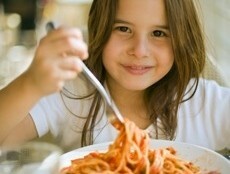 But we now know that our eating habits are just as important to our health as the foods we choose. Busy Canadians want simple guidance that they can trust to help them make healthy food choices for themselves and their families. In launching the new Canada’s Food Guide, the Honourable Ginette Petitpas Taylor, Minister of Health, emphasized that healthy eating is about more than the foods Canadians eat. Canada’s new dietary guidance includes concrete advice for Canadians on healthy food choices and healthy eating habits. The Food Guide wants Canadians to make healthy food choices stating they should make it a habit to eat a variety of healthy foods each day. The advice says to eat plenty of vegetables and fruits, whole grain foods and protein foods, and to choose protein foods that come from plants more often. Choose foods with healthy fats instead of saturated fat, and limit highly processed foods. If you choose these foods, eat them less often and in small amounts. And, even when you must eat out, the Food Guide suggests we all choose healthier menu options. Another key recommendation, is to make water your drink of choice—replacing sugary drinks with water. Use food labels. The label is certainly placed upon food and beverage packaging to draw in the consumer – to grab their attention from the grocery shelf. But it also contains key information that Canadian need to better educate themselves. While there will be changes to the Canadian labeling system over the next four years that will make it easier to know what’s in food, and to make healthier choices, the Food Guide notes that until the new system is revealed, consumers can still make educated choices. choose products with a little or a lot of the nutrients that are of interest to you. The nutrition facts table on labels is important, providing information on serving of stated size, calories, certain nutrients and % daily values (% DV). The % DV can be used as a guide to show you if the serving of stated size has a little or a lot of a nutrient. For example, a 5% DV or less is a little, while a 15% DV or more is a lot. 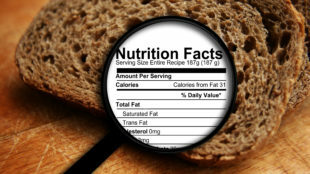 Other information contained on food labels include: date labeling, allergens, ingredients contained and even nutritional claims. “Healthy eating is more than the foods you eat. It’s about your whole relationship with food. 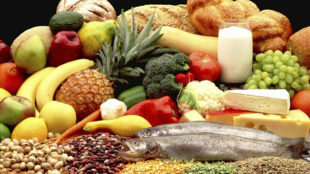 The new Food Guide gets to the heart of this relationship and gives Canadians concrete advice that they can follow to make healthy eating part of their day,” said Minister of Health The Honourable Ginette Petitpas Taylor. “Dietitians are passionate about the potential of food to enhance lives and improve health. We commend Health Canada on taking a broader approach to eating by providing evidence-based guidance on not only what to eat but how to eat. We are also pleased to see inclusion and consideration of traditional foods, cultural diversity and environmental sustainability. Health promotion is an essential pillar in food policy and the new Food Guide tools and resources will support the creation of healthier food environments for Canadians,” said Dietitians of Canada chief executive officer Nathalie Savoie. How. And get copies of this poster to put up??? ?